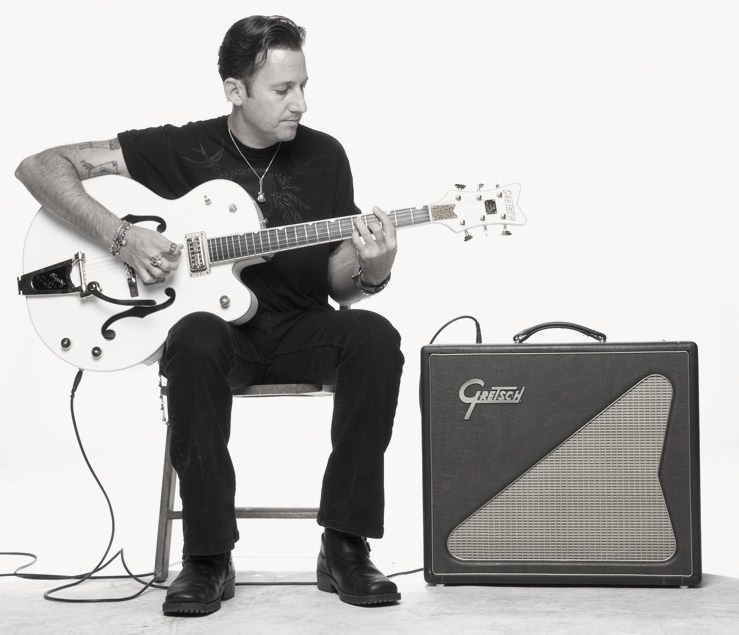 Founder of the San Diego based rockabilly group, Buzz Campbell & Hot Rod Lincoln, he became a member of Shanna (2000-2004) and has been playing with Stray Cat Lee Rocker (2004-present). Buzz’s guitar work is all over Lee’s last two CD’s, Racin’ the Devil, and Black Cat Bone, both released on Alligator Records. Buzz even penned the track, “Crazy When She Drinks” for the Black Cat Bone album. Buzz Campbell completed his largest tour to date by opening for the Stray Cats European Farwell Tour in the summer of 2008. The band warmed up audiences in seven different countries and by the end of the tour, were seen by over 100,000 people.